This is the biggest game at the finals for both South Korea and Sweden, whoever loses this faces a massive uphill task to get out of the group considering the next two matches are against Germany and Mexico. We saw yesterday the surprising excellence that the Mexican side possess especially on the counter as they broke with explicit speed which was something the Germans couldn’t handle. The Mexicans ran through them like a hot knife through butter. For any team to think about getting to the next round they have to win this match. A draw will effectively kill both teams’ aspirations of qualifying, if they draw it is likely they’ll need to at least not lose the next two matches, which is a highly unlikely scenario. They could take points from Germany and Mexico but if they do it’s likely that the most they’ll do is draw with them. I am predicting because neither side can afford to lose the game that it will be a cagey affair that will be won by the odd goal. Mexico’s excellent win against Germany has made this match carry more meaning, and the group have a different complexion than what was expected. Germany were expected to beat all three teams in this group and win it with ease, all that has changed now after last night. It means Germany have to beat South Korea and Sweden, with Mexico giving them a huge wake up call. Which isn’t good news for South Korea. Sweden’s qualification was built on a solid defence and excellent organization, whereas South Korea relied heavily on their creative attacking talent to propel them to the World cup. Therefore this game could be seen as a classic defence vs attack encounter. If South Korea’s attack cannot come out on top against the excellent Swedish defensive unit then Sweden will sneak a win. Son is expected to be the key man, and after his performances for Spurs this season that was to be expected. The hopes of all Koreans rest on his shoulders going into the tournament. However, with so much focus put on Son this could open space the other Korean attacking players. Hwang Hee-chan has had an excellent season for Red Bull Salzburg in Austria, and then there is Lee Seung-woo and Lee Jae-sung who are both very exciting talents. South Korea will be relying on these players to have an influence and affect the game if Son drags defenders out of place by Sweden putting more emphasis on stopping him from being a major game changer. 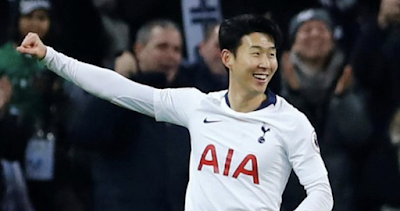 Son is a striker who blows hot and cold, not just for South Korea but he does the same at Tottenham. He goes on streaky goal scoring runs where he can get a goal every week, but then when he is cold he will go weeks without a goal. South Korea need the streaky Son to turn up in the finals, even if defenders are paying him closer attention than every other Korean player, if he is in his hot streak he will get goals because he really is that good. We are sure Spurs fans will agree with us. Korea’s defence has been plagued with individual errors as well as struggling badly with any kind of physical threat. Long balls being hoofed into the Korean box cause them all sorts of problems and against Sweden, who are likely to have a big physical presence; this is going to be a major concern. There will be hope that the defence does not implode and they can somehow suddenly manage to control teams that offer up huge aerial threats. Everyone knows about Son, and he will be Korea’s main man but there are other Korean players to watch out at the World Cup and these are the guys who will need to step up and help Son if Korea are to surprise us all by getting out of the group. Hwang Hee-chan has had an excellent season for Red Bull Salzburg in Austria, and helped them get to the semi-finals of the Europa League. Big clubs are reported to be sniffing around him this season with it being mentioned a lot in the papers that Liverpool and Tottenham are interested in taking him to the Premier League. He plays more as a central striker than Son, who is a floater. Lee Seung-woo and Lee Jae-sung are both exciting wingers who could provide that creative spark South Korea will be looking for. Lee Seung-woo was snapped up by Barcelona at a young age to play in their youth system but never really got a look in before he transferred to Hellas Verona in Italy. Lee Jae-sung is one of the biggest talents in the J-League and it has been reported a bit that European sides are taking a look at him. If he has an impressive world cup a move to Europe could be accelerated. His style of play is that of an all action midfielder who can play anywhere in the centre of the pitch, but he is most likely to find himself plonked out on a wing. South Korea will need these guys to shine if they are to upset the odds and defeat Sweden in their first World Cup match.